The conclusion to Joseph Delaney’s three-book arc about Thomas Ward that began with A New Darkness! The chilling and action-packed adventure from the internationally bestselling Last Apprentice series will delight fans new and old. In his job as the county spook, seventeen-year-old Thomas Ward is used to battling boggarts, witches, and other creatures of the dark. But now he and his apprentice, Jenny, must team up with former rivals and enemies to fight the evil Kobalos warriors intent on destroying the county. The fight has cost the life of a strong ally, Grimalkin the witch assassin. Determined to end the war with the demons, Tom leads Jenny and Alice to Pendle for one last epic clash. Loyalties will be tested, alliances will be broken, and not everyone will survive. 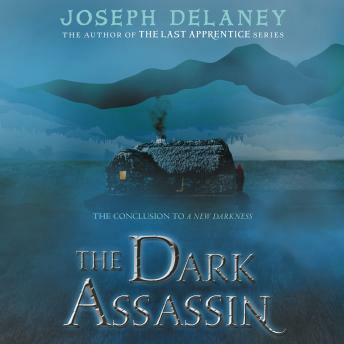 A final, heart-pounding adventure about Thomas Ward, from the internationally bestselling author of The Last Apprentice series, which Booklist called “one of the best-written [series] of the last several years.” Delaney’s deliciously scary imagination will satisfy longtime fans and intrigue new ones. Perfect for readers who love thrills, chills, and adventure—no prior knowledge of the Last Apprentice series needed!